In a reverse air dust collector, the dirty air flows from the inside-to-outside, so that the dust collects on the inside of the filter bag. 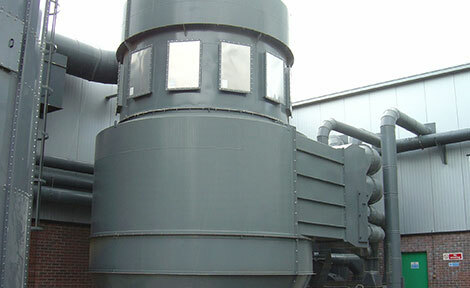 These dust collectors are a compact form of fabric filtration and are designed for continuous operation. They can filter fine particulate and achieve collection efficiencies of 99.99%. Dustraction produce various designs of ruggedly constructed reverse pulse tubular bag filters which exploit the superior filtration properties of heavy felted fabric media. 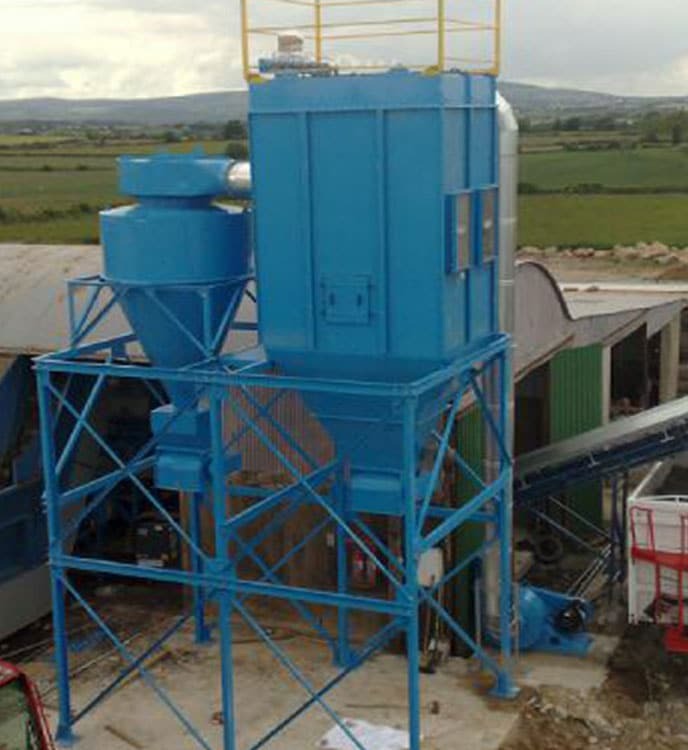 The reverse pulse dust collectors are suited to many industrial applications and are ideal at handling heavy dust burdens as they work on a continuous process with no shutdown time. Reverse Pulse dust collectors are cleaned automatically by reverse jets of compressed air. This ensures better collection efficiency than conventional mechanical shaking. The collected waste can be discharged directly into the manufacturing process, waste sacks, or via a hopper into enclosed skips. Dustraction has been the waste extraction supplier of choice at SAM Mouldings in Antrim for well over a decade and has helped Europe’s leading manufacturer of architectural mouldings in MDF to win some very significant environmental protection accolades in the battle for the environment. 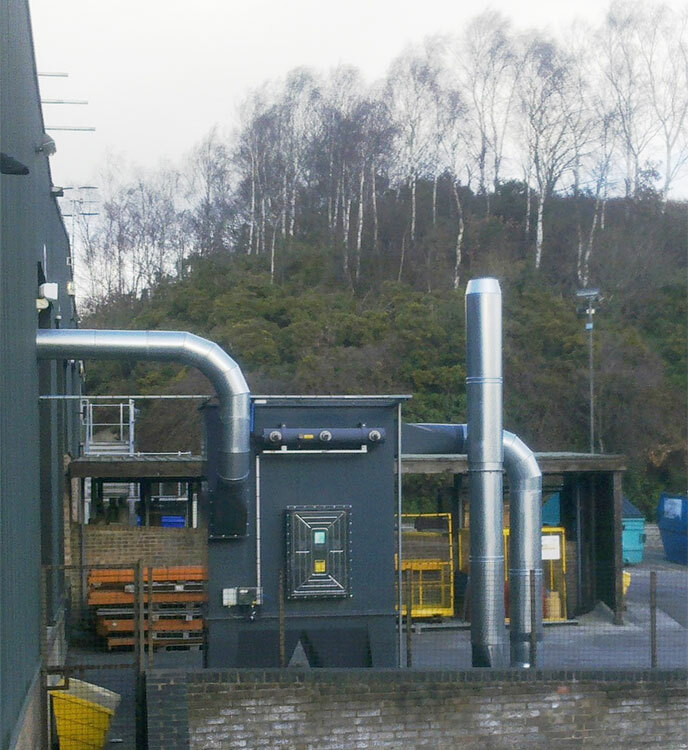 Most recently, a new 80 m3 storage silo, the fourth on the eight acre site, was installed by Dustraction to take and to store the MDF waste from an existing but relocated cyclo filter.